This Birdhouse pot holder is hand crafted from pine, lightly sanded with a natural finish. The back board is 16" long and 2 1/2" wide and predrilled for mounting. The birdhouse is 7" tall x 5 1/2" wide with an old fashioned style floor nail for the perch. 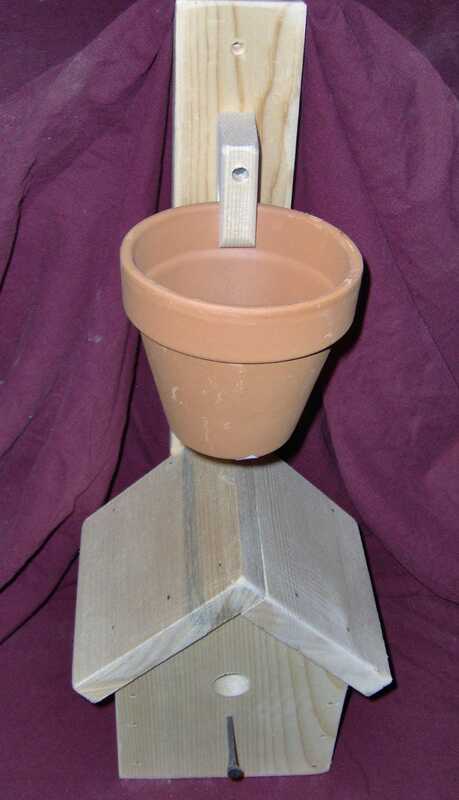 The pot holder is designed for a 4" clay pot. (pots are not included). If you are using this outdoors it should be sealed, stained or painted to protect the wood. Free retail ground shipping!